Car parts company UYT has been sold to the Chinese owners of Covpress in a deal worth almost £30 million which is expected to create 100 jobs. 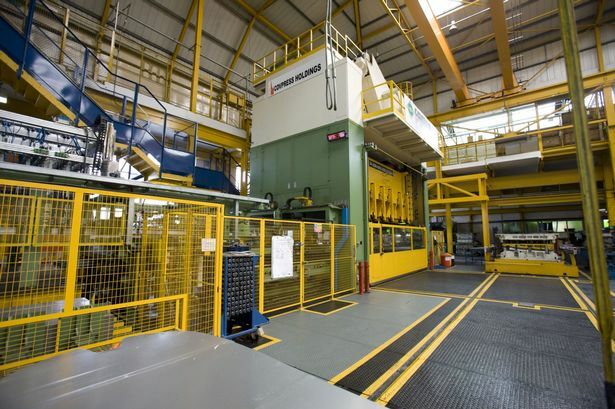 The Yongtai Group, which took over Covpress in July 2013, say contracts for the acquisition are set to be signed in Coventry today. The deal will safeguard 400 jobs at the Canley-based business, which is a supplier of car components, chiefly to Honda. And bosses say the move will also create a further 100 jobs at UYT over the next two years. The plant, in Renown Avenue, is near the Covpress factory in Burnsall Road, which was also sold to the Chinese industrial powerhouse - together with a British partnership - in a deal worth £30million, two years ago. Since the buyout of the body panel supplier, the new owners have invested a further £25 million in the business and created a number of new jobs. The buyout in 2013 was one of the biggest investments by a Chinese firm in UK industry and was branded "a huge leap forward" for the business. The Yongtai Group says the combined workforce on the site will soon be more than 1,200 people. Kit Halliday, the Covpress European&apos;s joint chief executive, said: "This is tremendous news for everyone - Yongtai Group, UYT and the people who work here. "The Yongtai Chinese investment means that this UYT highly skilled facility will continue to support the Honda UK manufacturing operation. "UYT is almost exclusively Honda but this expansion in Canley will enable us to continue to meet other car manufacturers&apos; increasing demands." Mr Xiaoming You, president of the Yongtai Group, added: "I am sure the Government will welcome Yongtai&apos;s investment in this good news story of both maintaining and creating jobs, as well as contributing to the UK&apos;s car manufacturing business. "In less than two years of Chinese ownership, our business here will have expanded from 430 jobs to over 1,000 and our success story will continue to increase the order books." Mr You and his father, Xuezhong You, who is chairman of the Yongtai Group, will be signing the acquisition contracts today before unveiling the Chinese flag at UYT.